Will Modern Warfare Remastered Be Released Separately? Will MWR soon come as a standalone game? 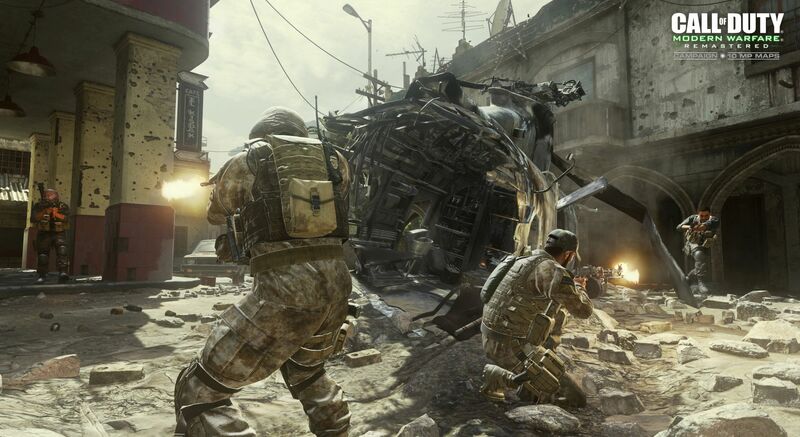 Modern Warfare Remastered created a massive buzz in the Call of Duty community upon its announcement nine months ago and even a larger stir when it was known that it would not be sold separately but instead would be bundled in the collector’s editions of Infinite Warfare. With the masses being displeased with Infinite Warfare from the get-go, a hefty 3.4 million dislikes will prove that point, many seemed to really only be interested in Modern Warfare Remastered. While many only wanted Modern Warfare Remastered, we’ve yet to see the option to purchase it separately… But will it be sold in the future as its own price tag? The idea to release Modern Warfare Remastered is no new thought but now would be a very opportune time to do so. 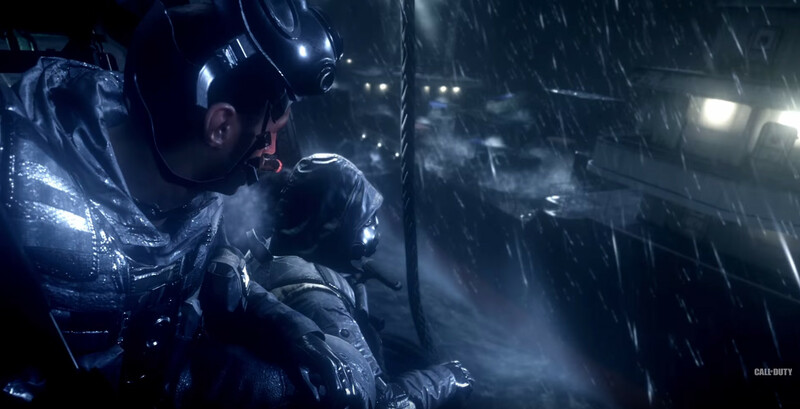 Modern Warfare Remastered was initially bundled with Infinite Warfare to make up for lack luster sales from this year’s title. Whether players want to really associate Modern Warfare Remastered as a bail out job or not, it essentially was just that. However, there have been many different features added in that have made it an entirely new game such as the many more prestiges, the amount of levels after final prestige, the supply depot, etc. The game is revamped and remade to keep players interest despite another full game in Infinite Warfare being released simultaneously. If I dare say so, Modern Warfare Remastered has more content than Infinite Warfare does. That said, all this content is only listed as a bonus to Infinite Warfare and many players have still held off on experiencing either because they are not so intrigued with Infinite Warfare. If players are intrigued for Modern Warfare Remastered however, they are a bit out of luck. As we mentioned, it was bundled to make up for lost sales but what perhaps the best way to make up sales would be is to release Modern Warfare Remastered separately. Modern Warfare Remastered could easily sell copies by itself and perhaps promote more sales than that of a bundled edition of Infinite Warfare. This wouldn’t be the first time either that we see a collectible item from a collector’s edition be released after launch either. Last year in the previous title, Black Ops 3, as a part of the collector’s editions and season pass, players could get the remake of World at War’s Der Riese zombies map called The Giant. This was a major deal for zombies fans alike and even for players who were slightly casual in the aspect of zombie slaying. Many thought this would only be available to the collector’s editions but it was later made public for separate purchase. On May 22nd of last year, it was made available for purchase on the Xbox One, PlayStation 4 and PC. Who’s to say we can’t see that for Modern Warfare Remastered? If this were to happen, it would perhaps follow a similar time frame. Modern Warfare Remastered is currently bundled with Infinite Warfare and more than likely will be for a little more time to come. We saw a break away from the collector’s editions roughly halfway through the life cycle of Black Ops 3 to generate some mid-season sales. The period of May is normally when we start to see information for the upcoming year’s game but also when sales are at a low point. Modern Warfare Remastered is a unique asset this year in which it could have saved and bolstered Infinite Warfare sales earlier on but it also can act as a way to keep sales from dipping too low even at the slowest times of the year. To this point there is still no word from Activision or any inside sources within the industry to indicate that this will in fact happen, so right now all we have is the hope that the COD gods will shine down on us fans with a ray of good news. However, if it were to happen, it potentially could be suddenly but even if it was announced, I would not expect it until a similar time period as that of The Giant’s standalone release. A May timed release would fall directly when sales would need it and it could rejuvenate Call of Duty in a period of dry player numbers. Half way through is when players seem to lose interest more and more, but if there’s the opportunity to bring back one of your favorite titles by itself, that could do the trick. With no answer to the question in sight, for now we just sit and wait while hoping Modern Warfare Remastered can be released separately. It seems like it would be a no brainer and great business decision but we shall see, stranger things have happened though it would only make sense, right? Perhaps we will see Modern Warfare Remastered released separately after all.